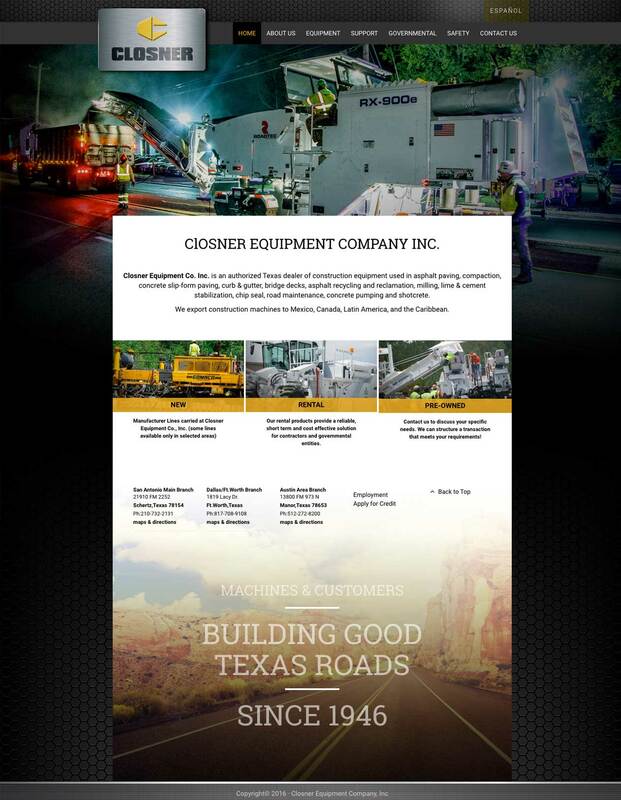 Closner Equipment Co. Inc. is an authorized Texas dealer of construction equipment used in stabilization, reclamation, asphalt paving, compaction and concrete work. Operating continuously since 1946, with 3 generations of family leadership. They called to update their logo and give them an online presence that makes them look professional.